I’m quite new to the XNA game development scene, but ever since Sony’s Net Yaroze, the home-brew playstation, was launched in 1997, I’ve always been drawn in by the temptation of writing something to run on a console. Soon after starting the development of a little game using XNA I quickly realised it would be great to somehow define the levels for my game in as much of a labour-free method as possible. The pragmatic man/woman always strives for re-use, so with this notion in mind I didn’t see the point of creating a tool that would allow me to create levels. In any project you should be making desicions that result in a faster development time – tacking a level editor task to my to-do list was just going to push the end point even further away. I’ve always been a huge fan of Blender, the open-source 3d modelling package. I’m not an artist, foremost (although I used to endulge in that quite a lot), but I can manage a few vertices and straight lines. 🙂 So I wrote a little Python script (which, by the way, is a joy to write) that exports the mesh to an XML format that XNA can very easily read and import directly into a managed C# object ready for use in my game. The below image shows my rather primative test model in Blender which is the start of the terrain for a version of lunar lander that I’m creating. I should stress, this is only really of any use if you’re defining objects made of straight lines and vertices, like for example a version of asteriods or similar. 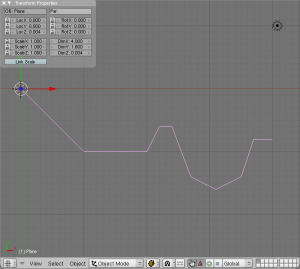 In order to run this you have to have a version of python compatible with your installed version of Blender. 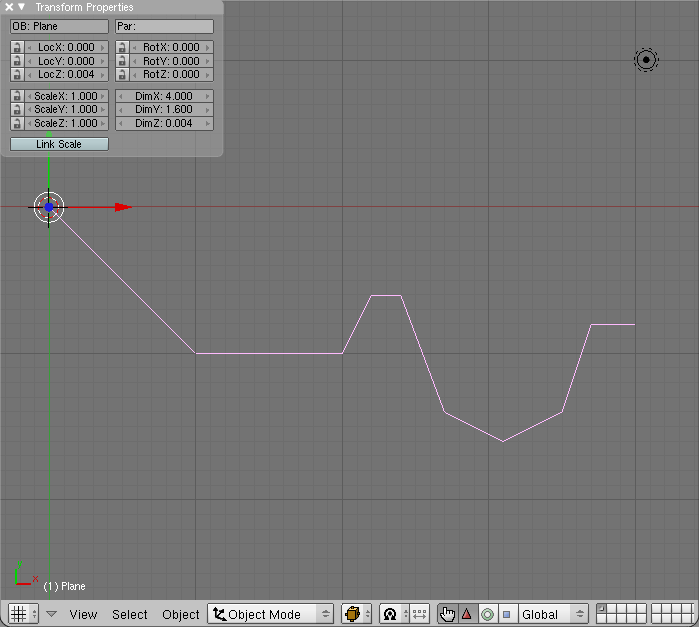 Blender 2.49 seems to get along fine with Python 2.6.2. Copy the above, save it as a file named xnaxml_export.py in your blender scripts folder (which was C:\Documents and Settings\Andrew\Application Data\Blender Foundation\Blender\.blender\scripts on my system intuitively enough). Please update/share the script as you see fit and feel free to share any improvements in the comments. I’ll post the code to load this into a usable C# object in my next post.